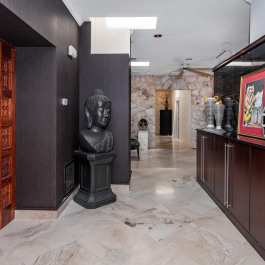 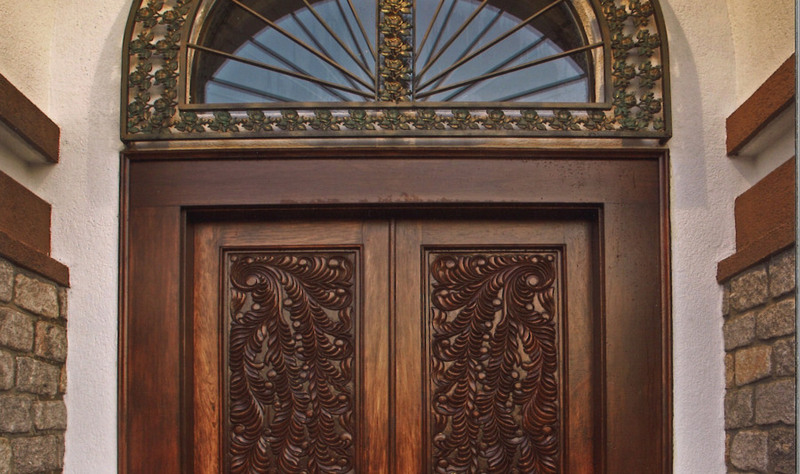 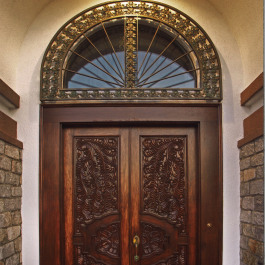 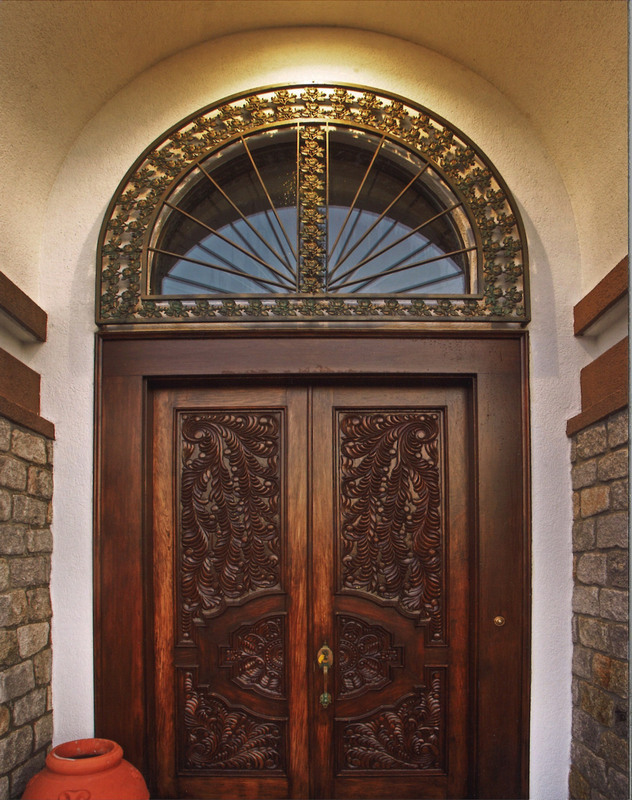 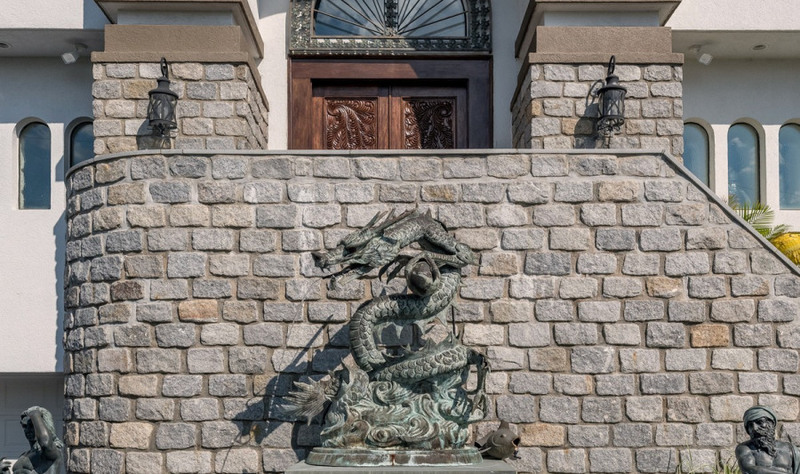 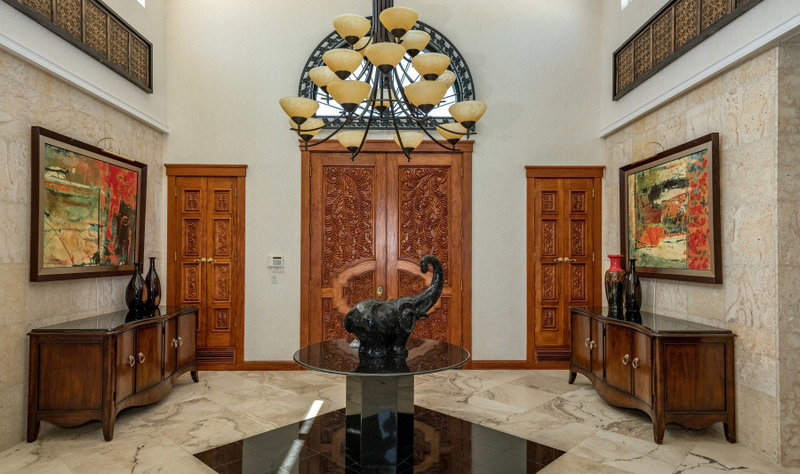 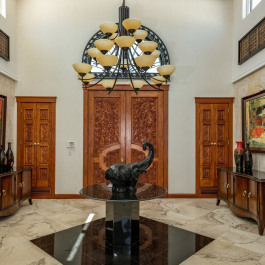 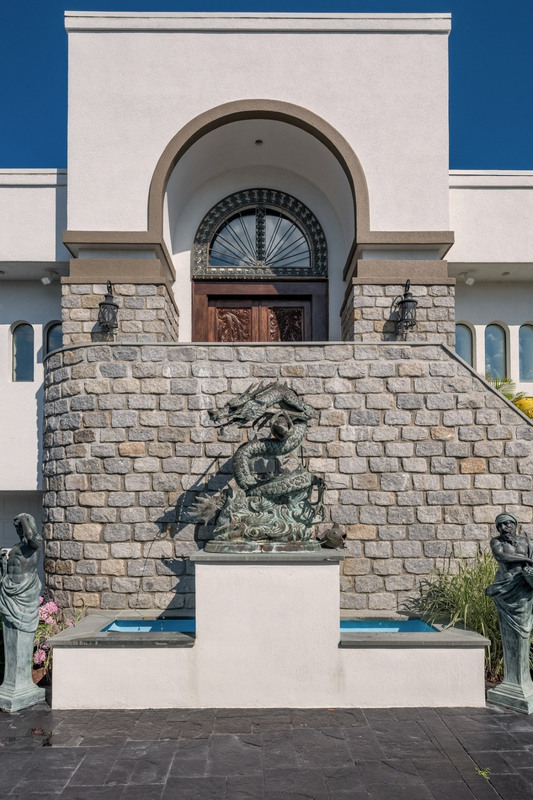 Welcome to "Villa El Casino" - When you first enter the double carved rosewood doors, you know this home is in perfect harmony with the water. 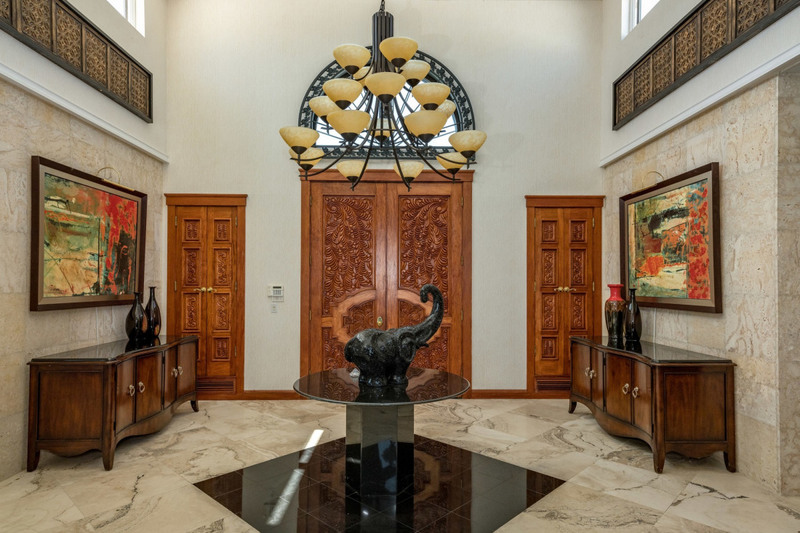 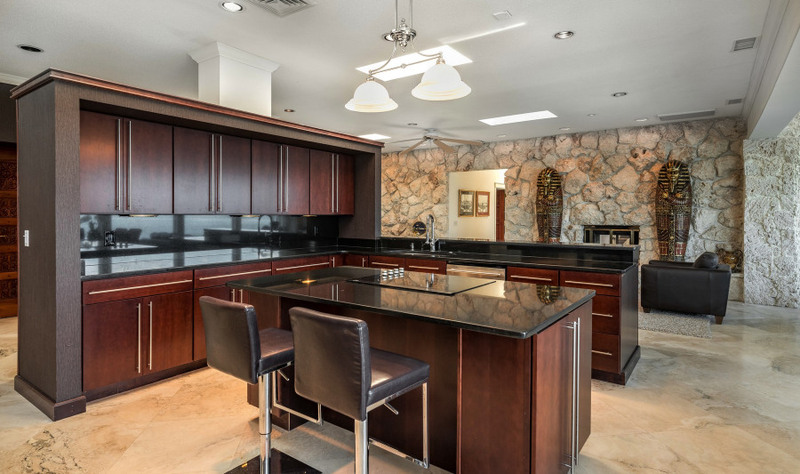 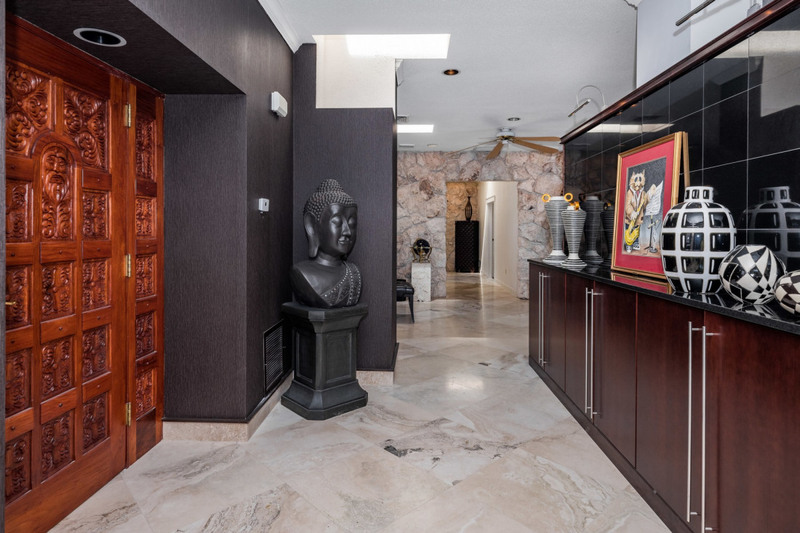 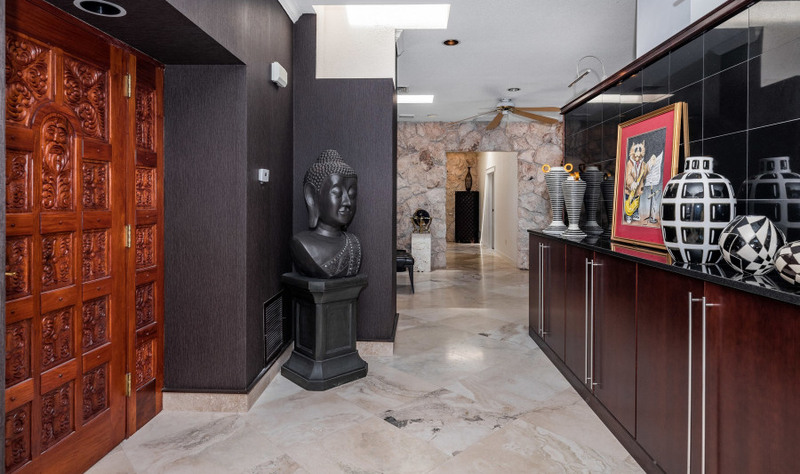 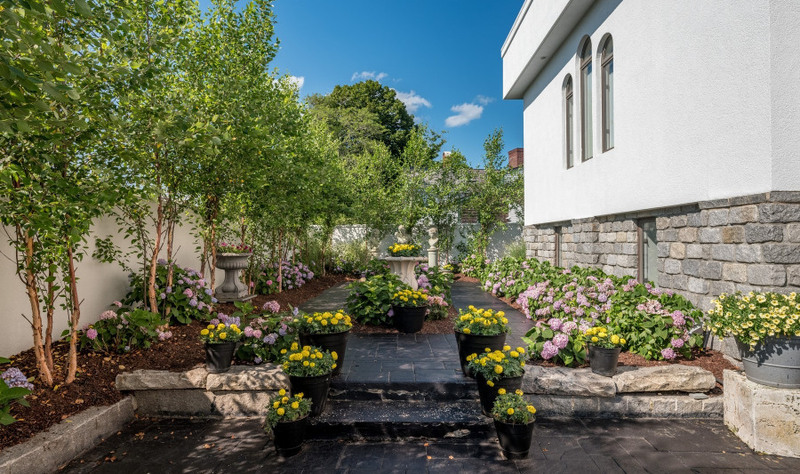 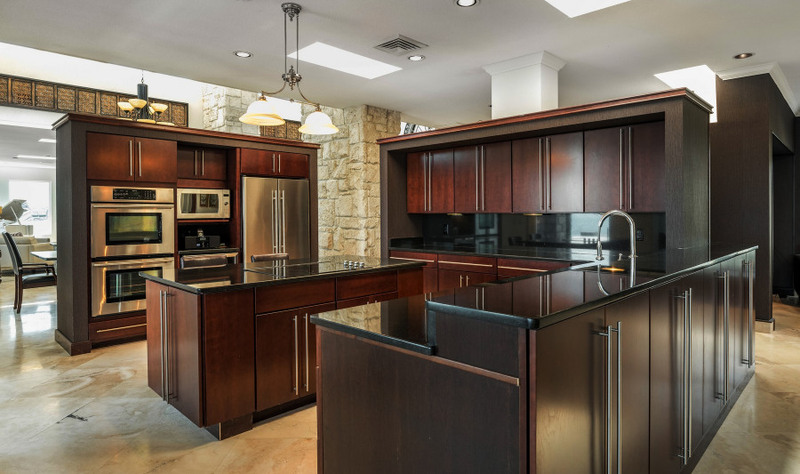 The foyer and formal dining room with high ceilings open to a spacious living room with a wet bar for entertaining. 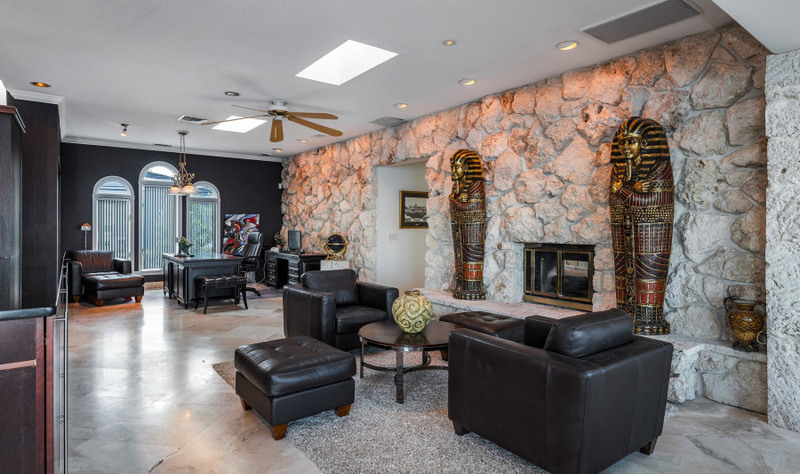 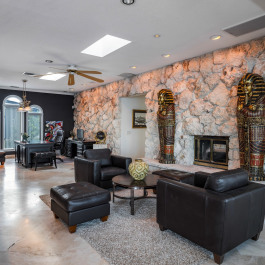 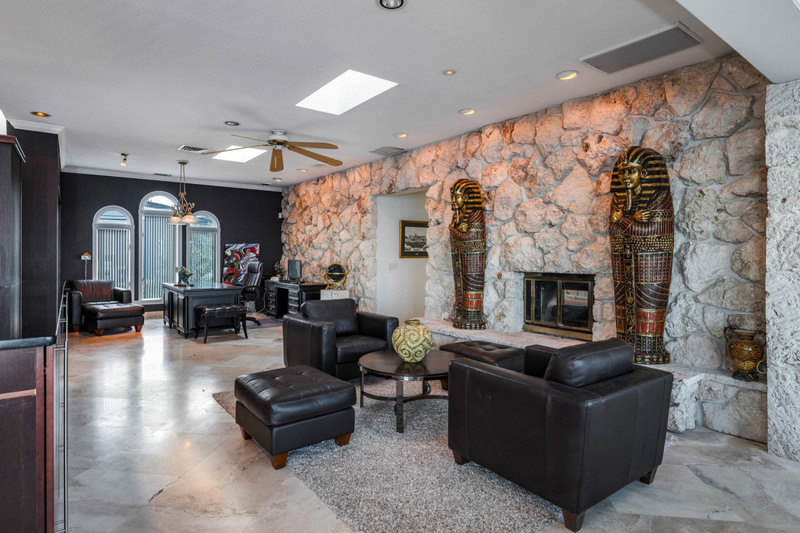 Floor to ceiling coral stone from Key West Florida surrounds the fireplace and gleaming marble floors cover most of the home. 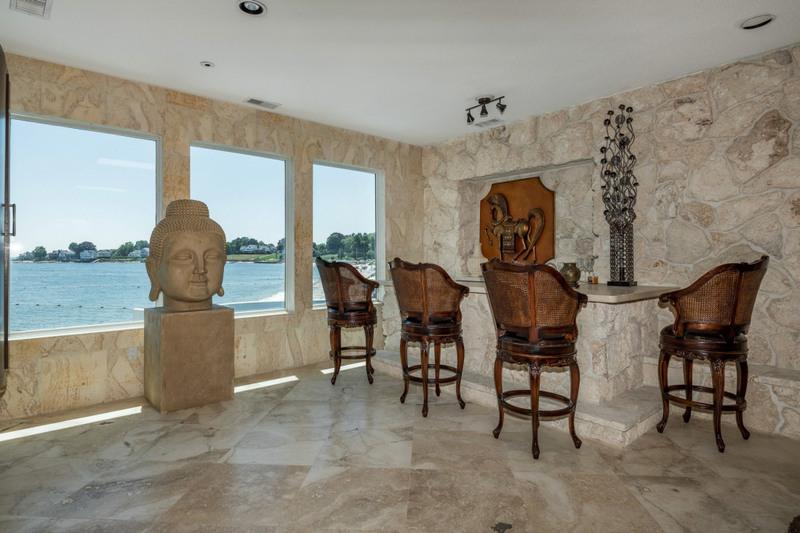 Water views, a pageantry of sunrises, sunsets and awe inspiring moons weave water dreams and syphonies as timeless as a Stradivarius. 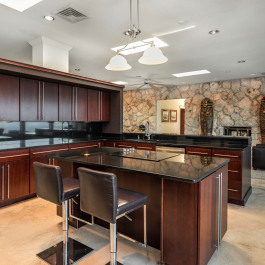 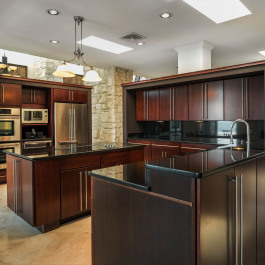 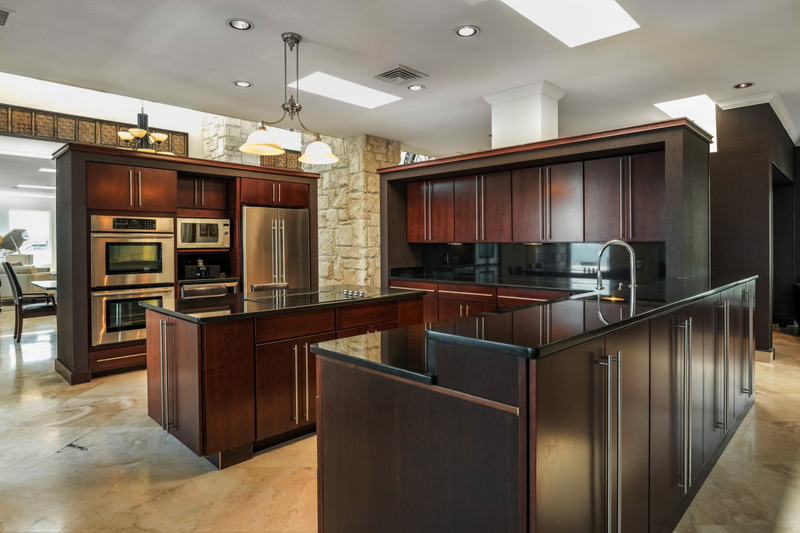 An open family room with fireplace, office, chef's kitchen with stainless steel appliances, granite counter tops, wine cooler, breakfast bar plus informal dining area are first level highlights. 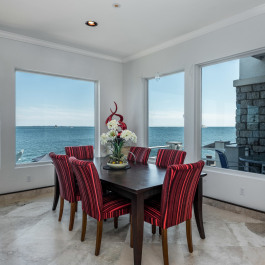 Through the sliding glass doors, you can dine al fresco on the covered terrace basking in the cool ocean breezes. 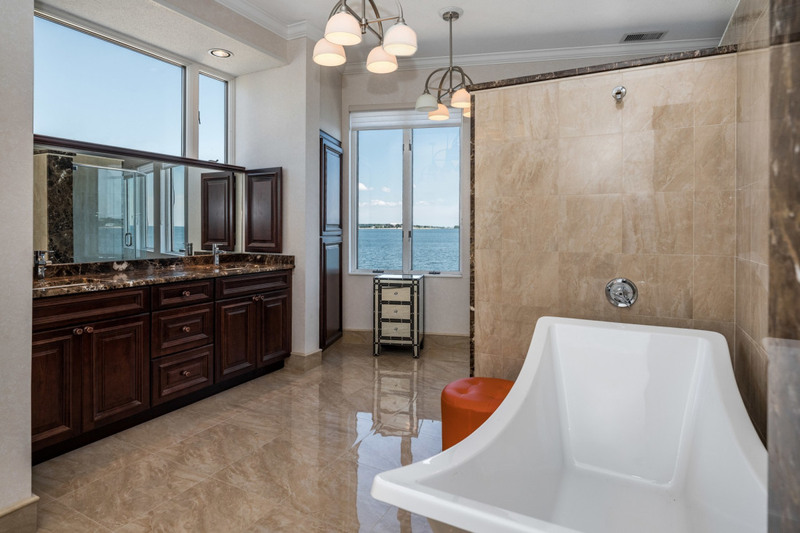 All of this with fabulous water views! 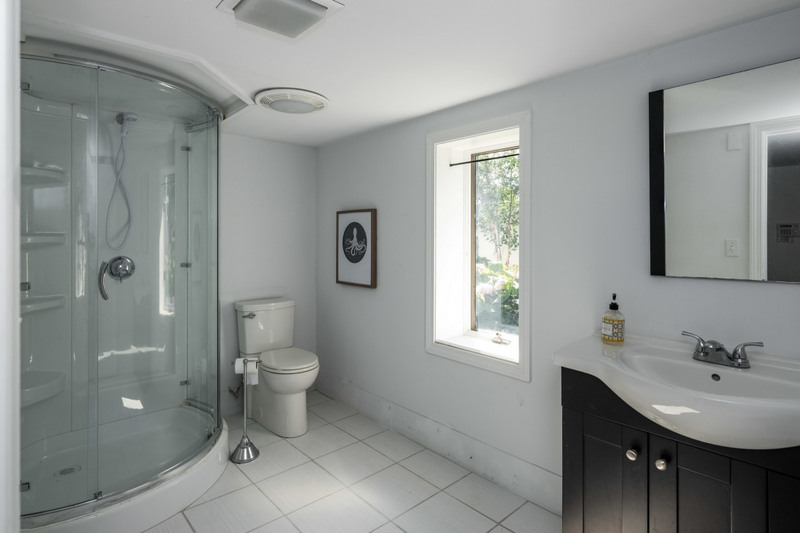 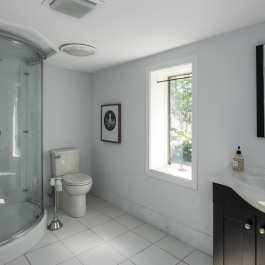 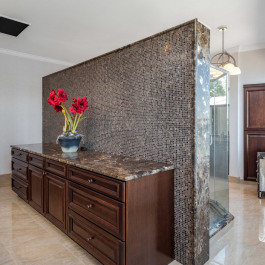 The Master suite has a gas fireplace, dressing area, walk-in closet and spa like master bath. 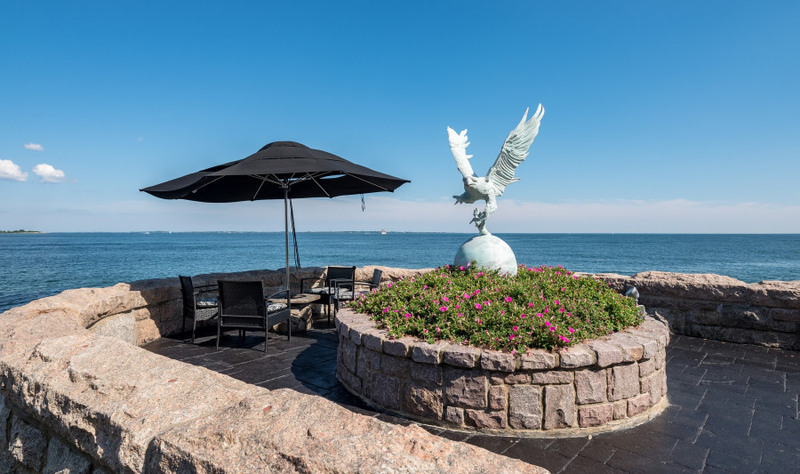 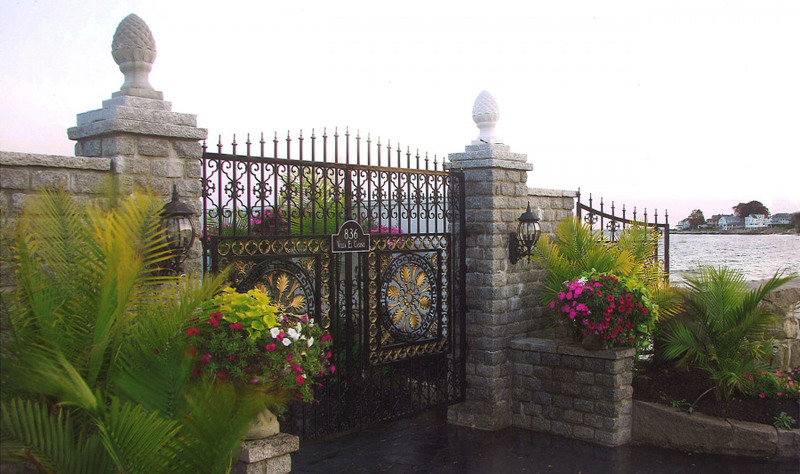 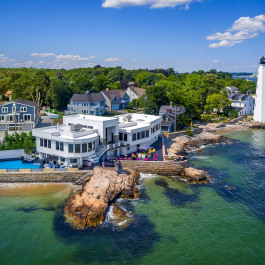 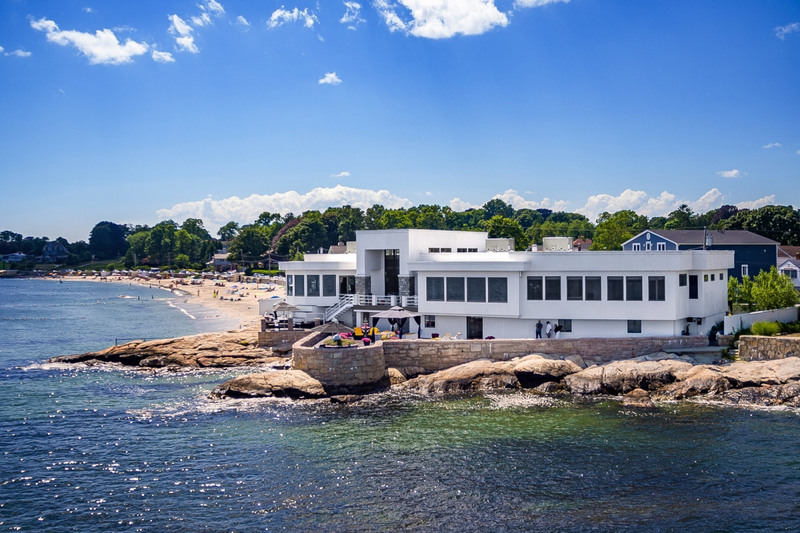 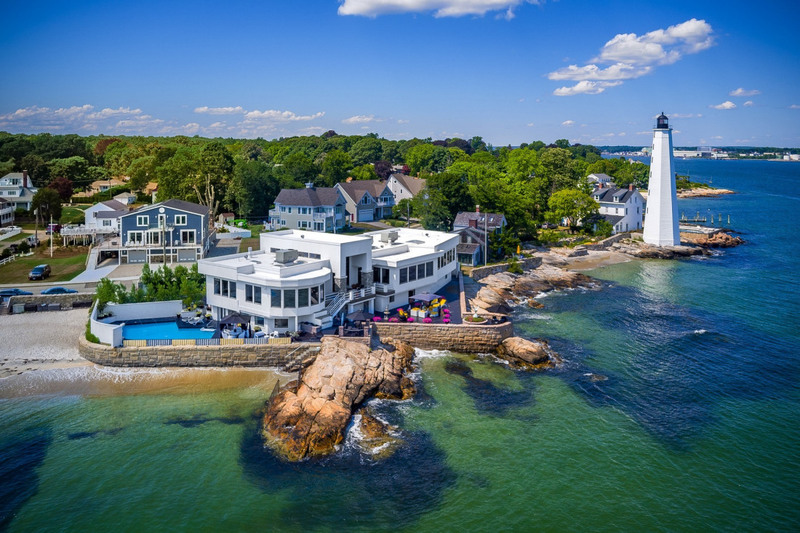 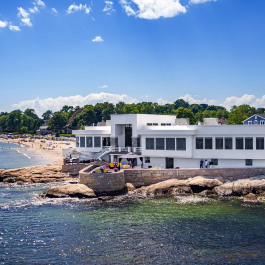 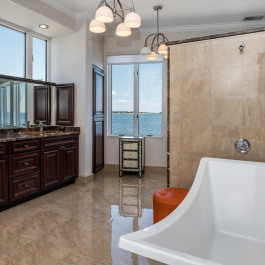 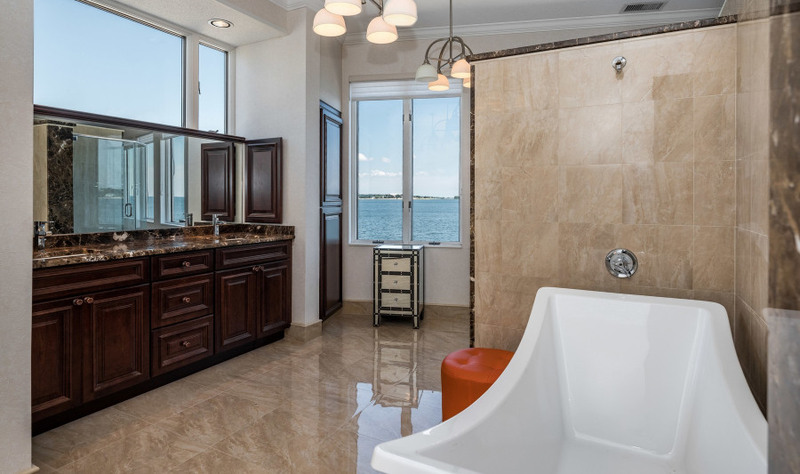 The additional two en suite guest bedrooms also share the remarkable Long Island Sound views . 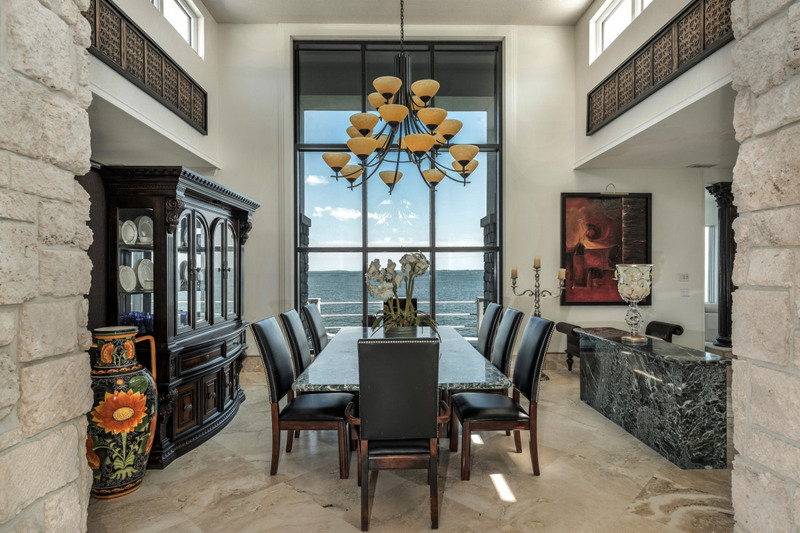 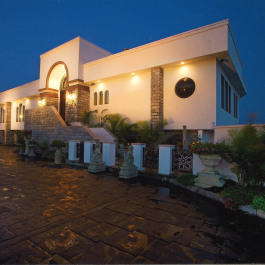 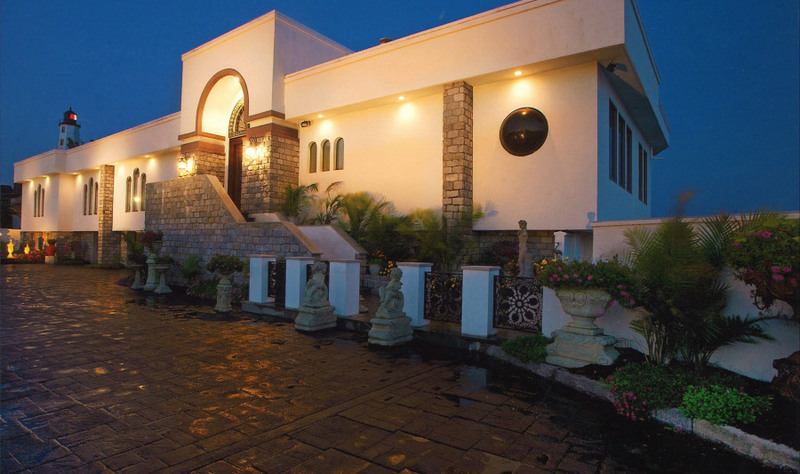 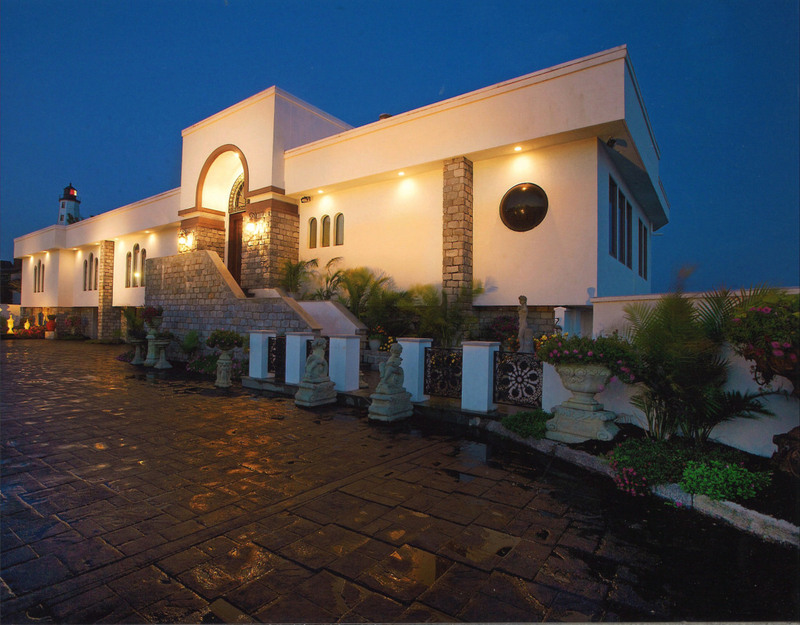 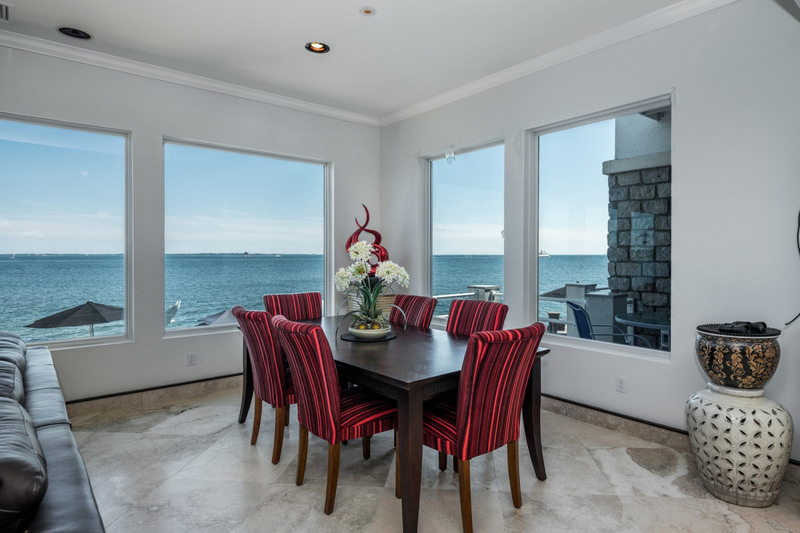 This home offers multi-level tiered terraces for relaxing while you enjoy an array of seascapes. 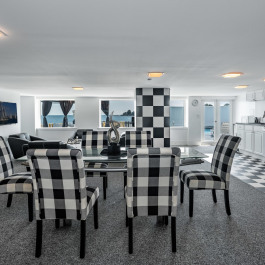 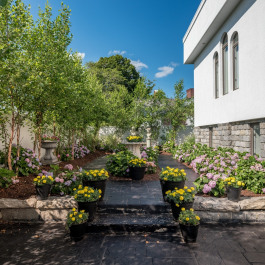 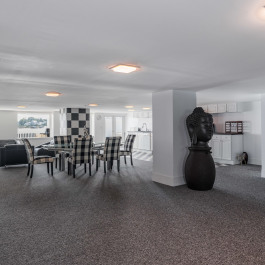 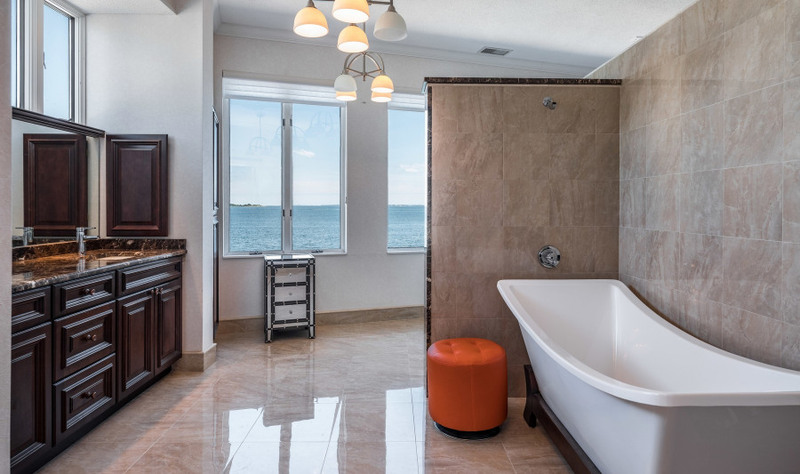 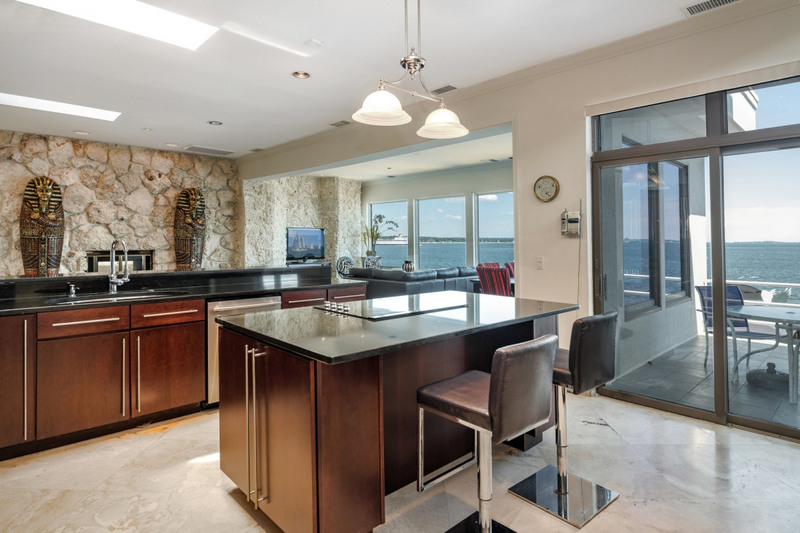 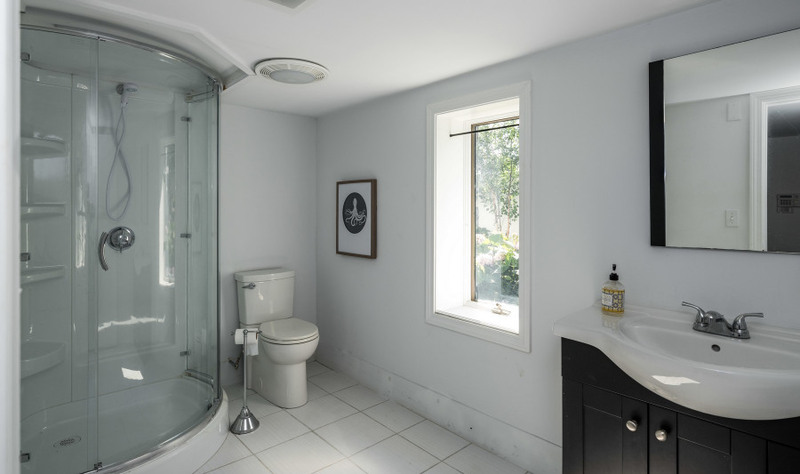 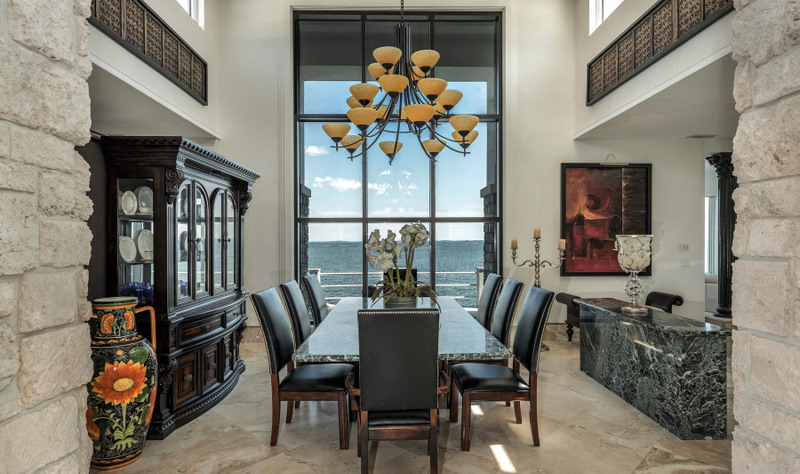 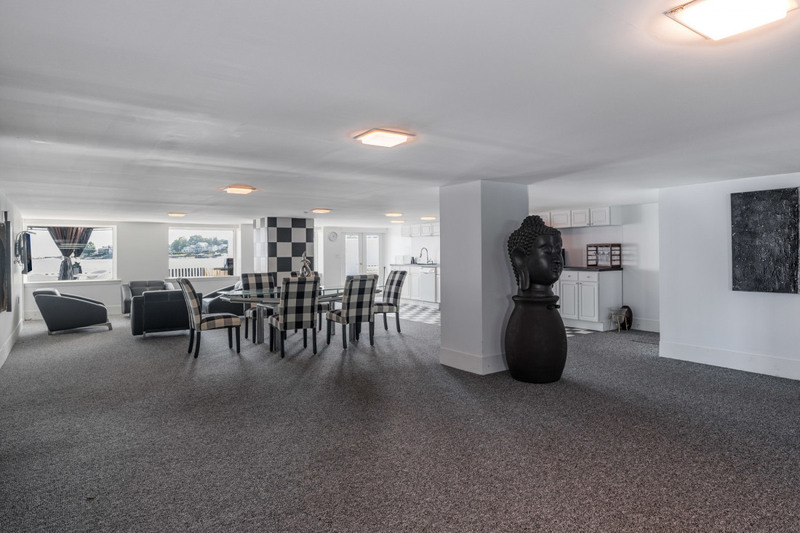 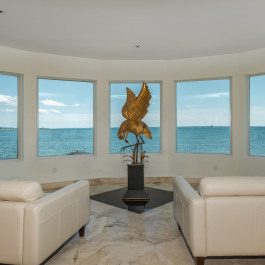 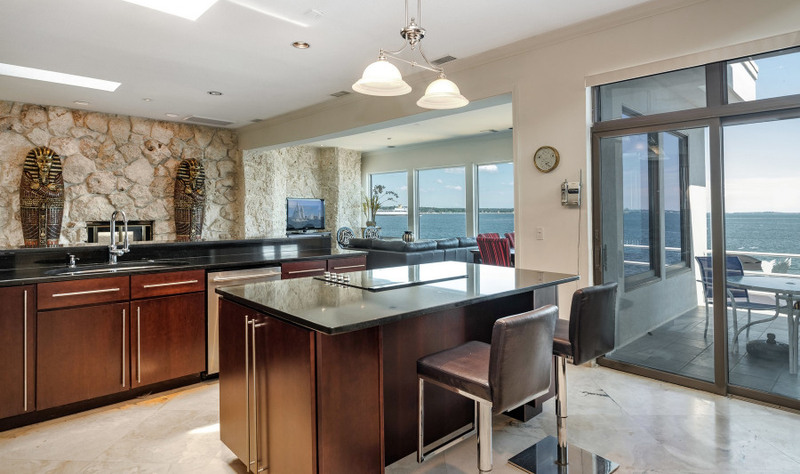 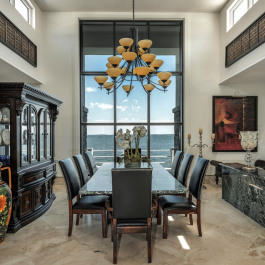 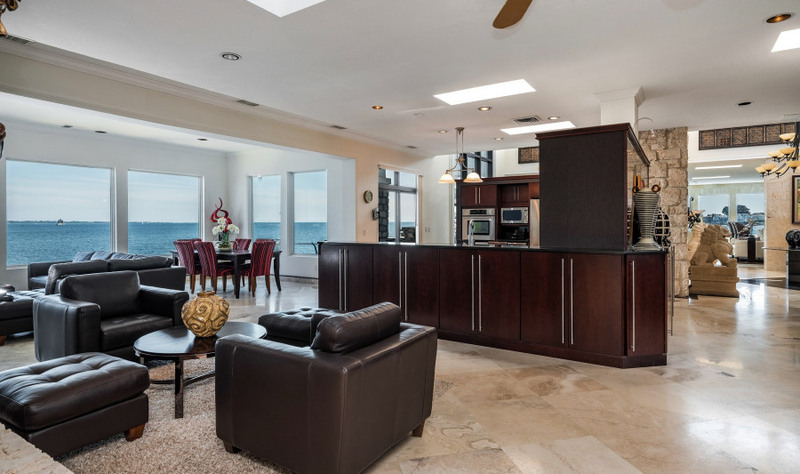 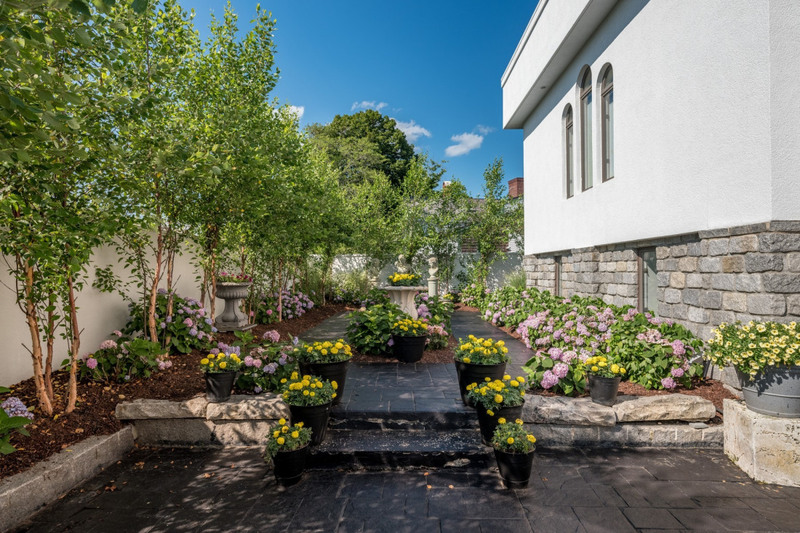 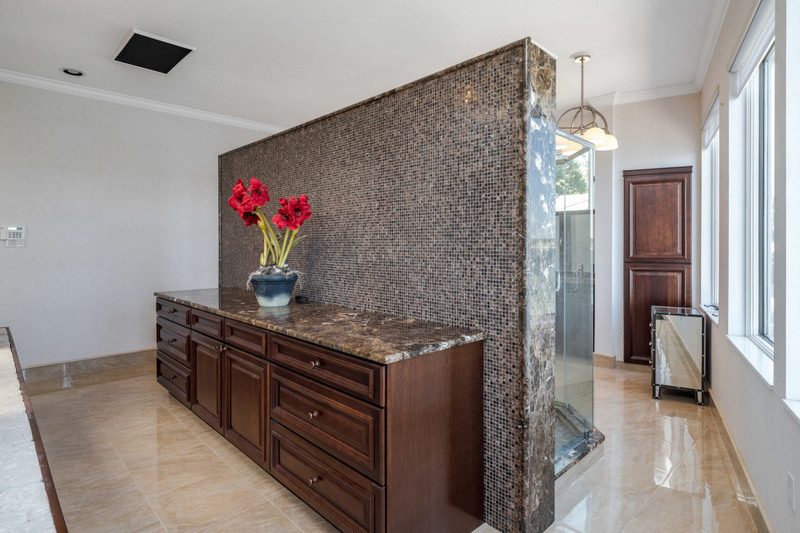 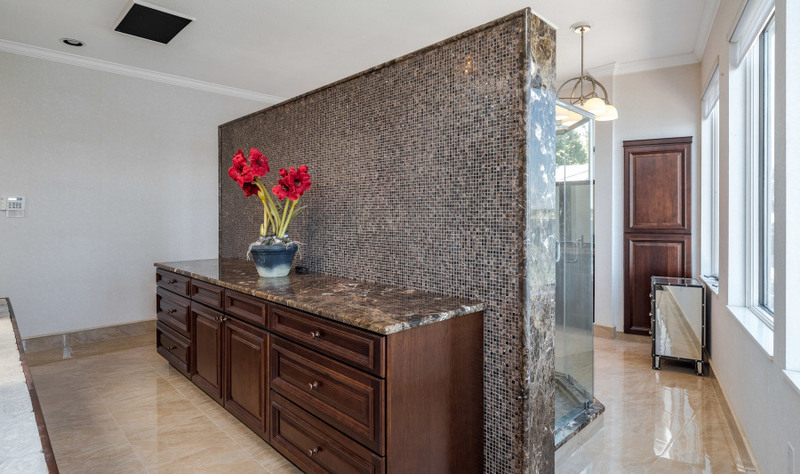 Take the elevator to the fully finished lower level with a large open area where you will enjoy fresh breezes and salty scents of the sea gently passing through, keeping you cool throughout the summer months. 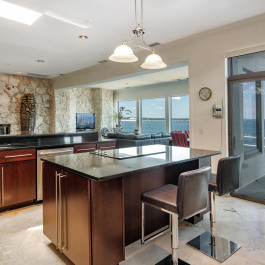 In addition, there is a beach side pool with stunning views and outdoor amenities for unparalleled luxury living. 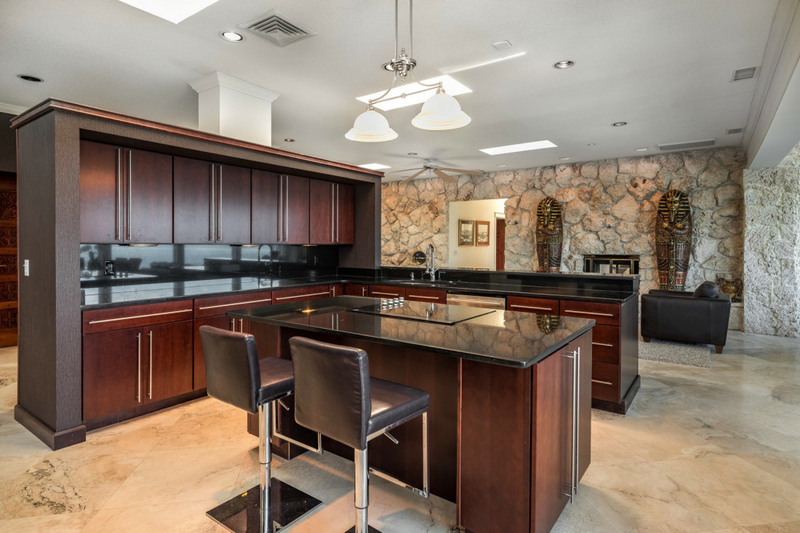 Just a short distance away from the pool you can walk into the summer kitchen for lunch in the open area with media and a lounging area. 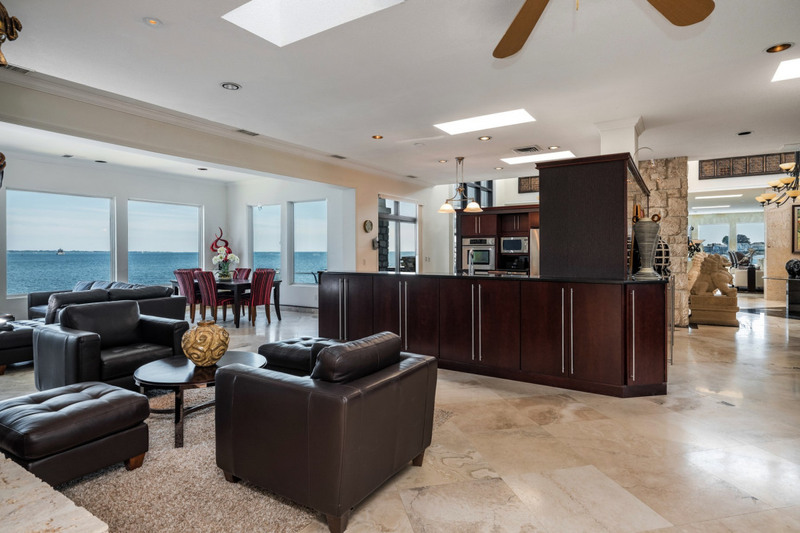 Take the steps down from the terrace to the sandy beach for long walks. 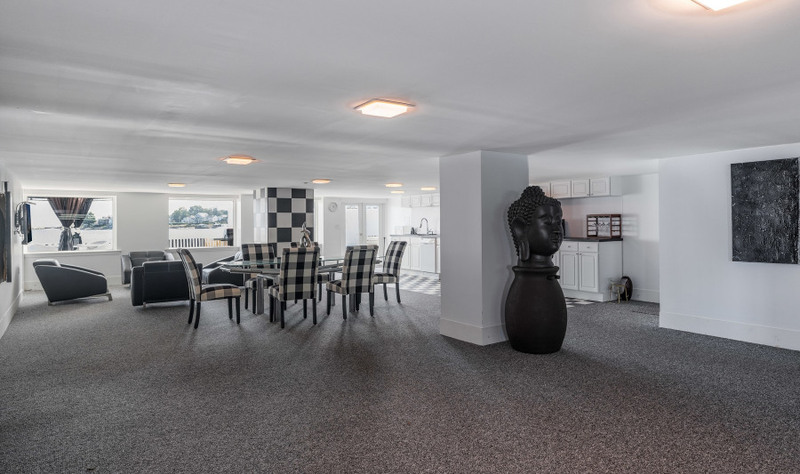 The real bonus is having room for 5 or more cars in the lower level three-bay garage. 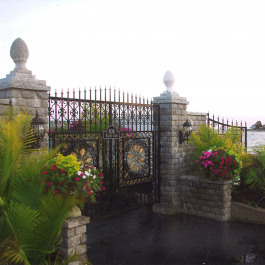 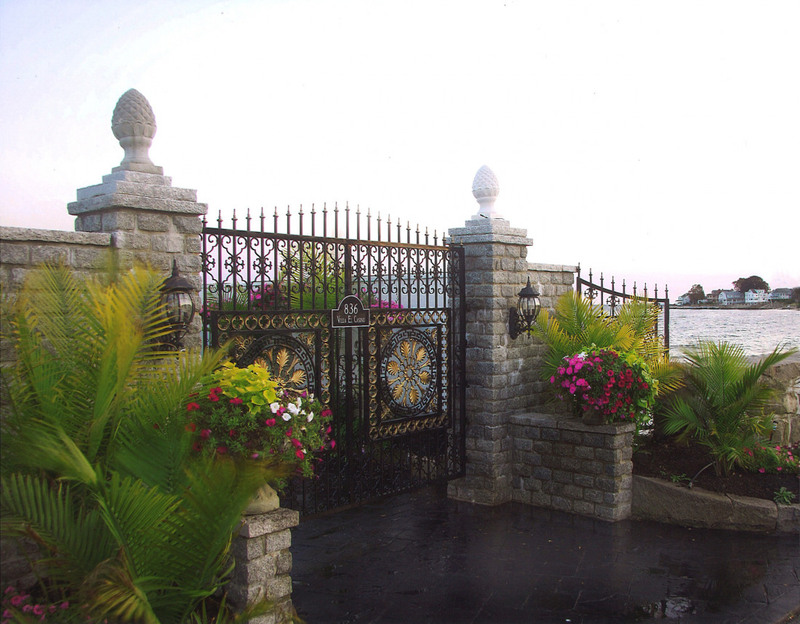 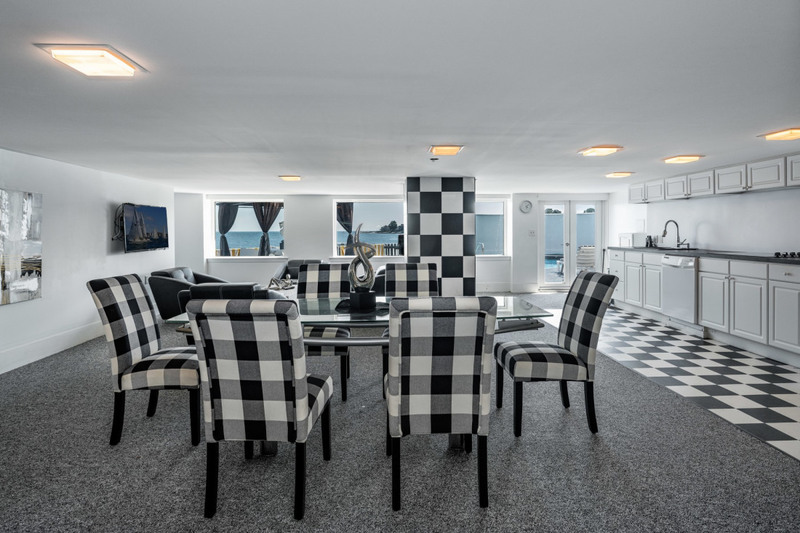 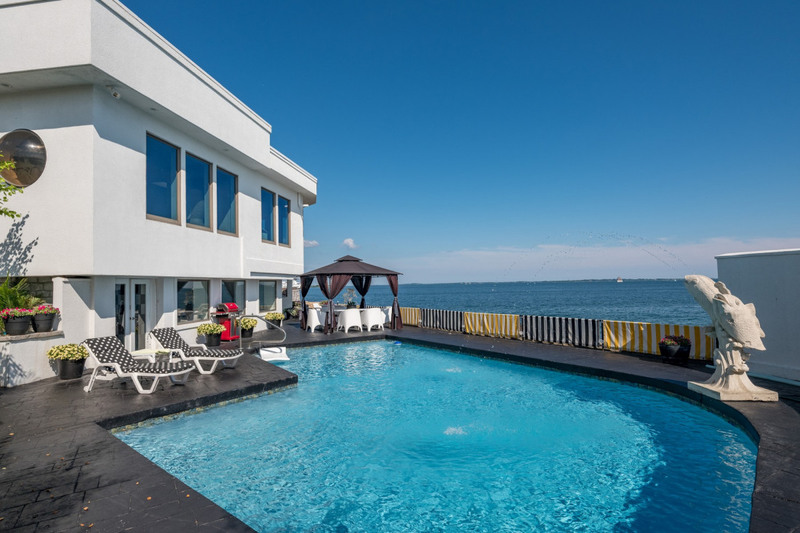 This "one of a kind waterfront beach home" is accessed through two security gates with a driveway that curves through to your own private oasis. 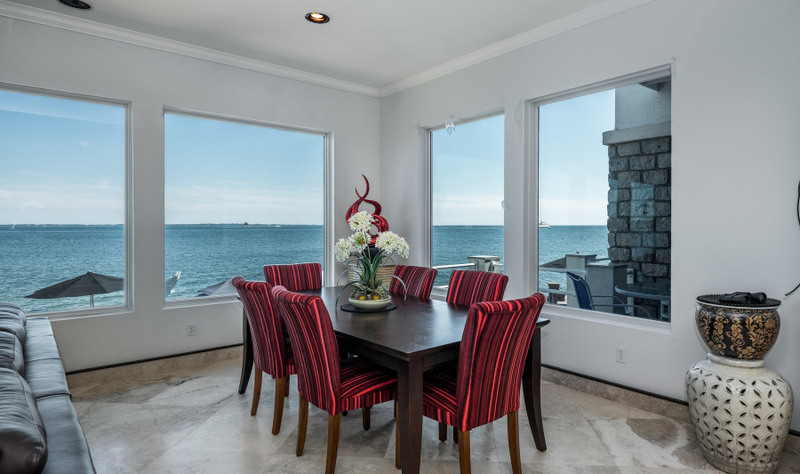 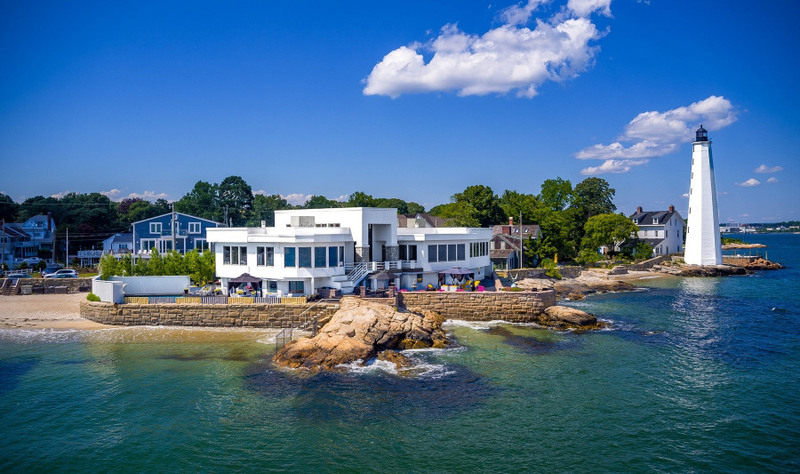 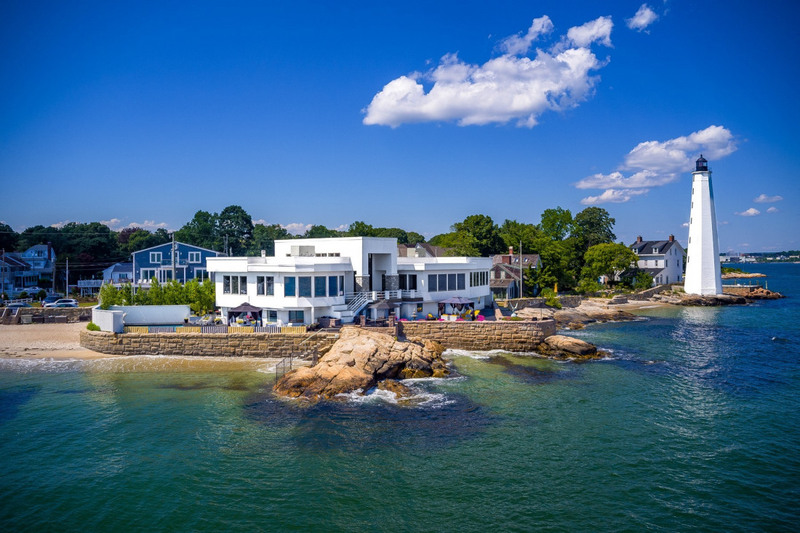 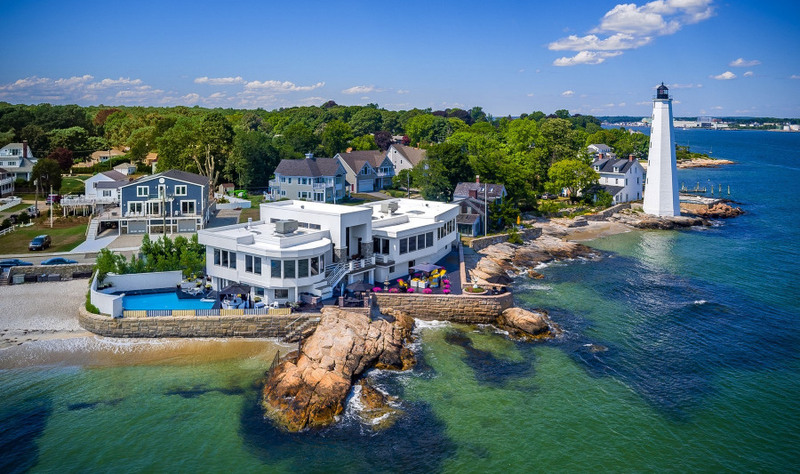 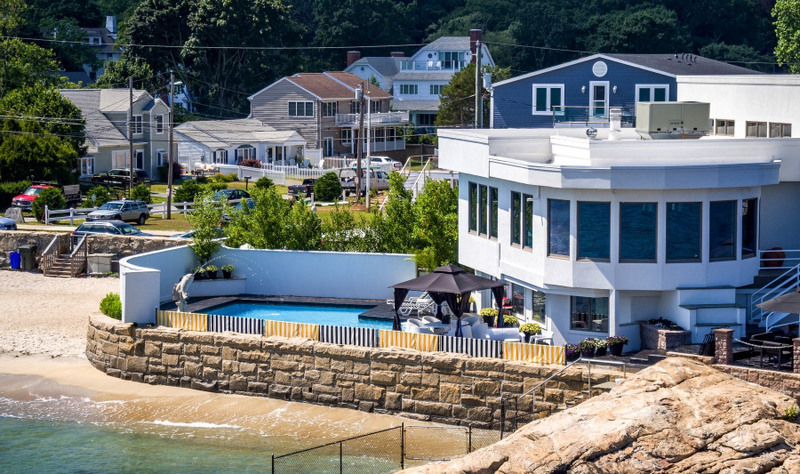 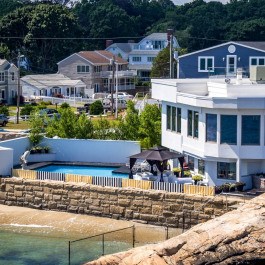 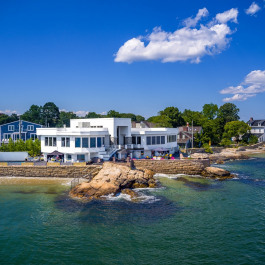 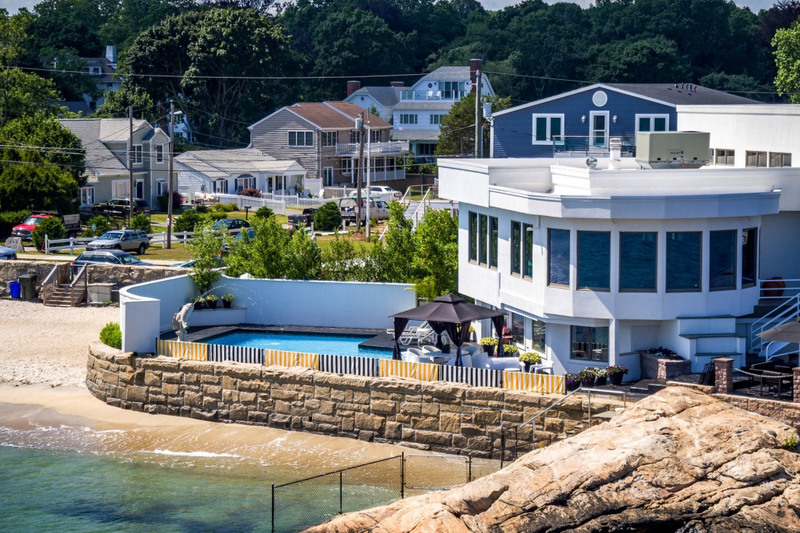 Seaside living is about the relationship between the home and the water and this home has it all! 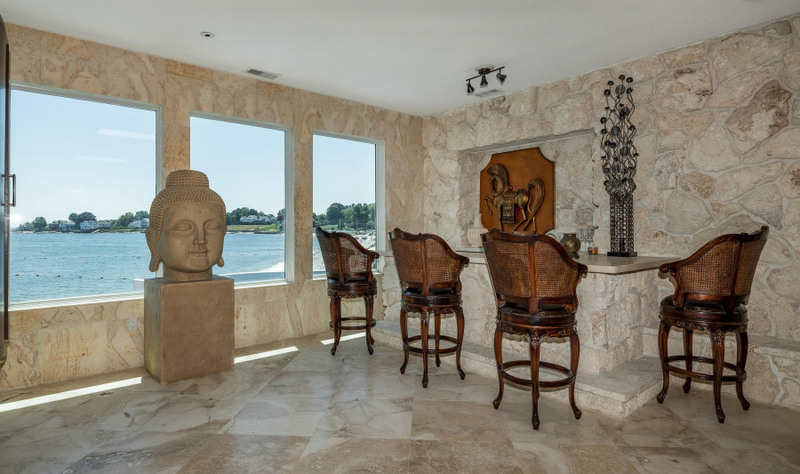 This home comes with boat lift to accommodate up to a 45 foot boat. 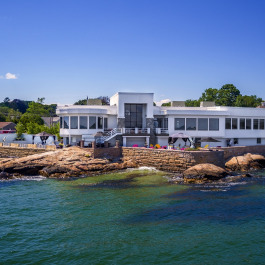 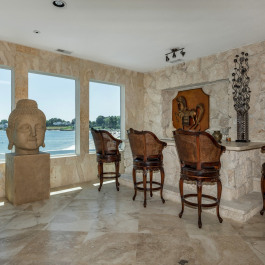 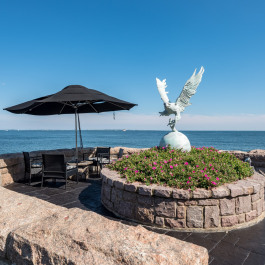 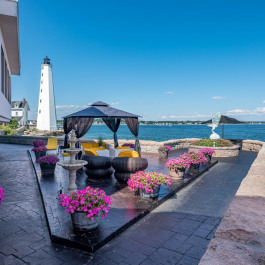 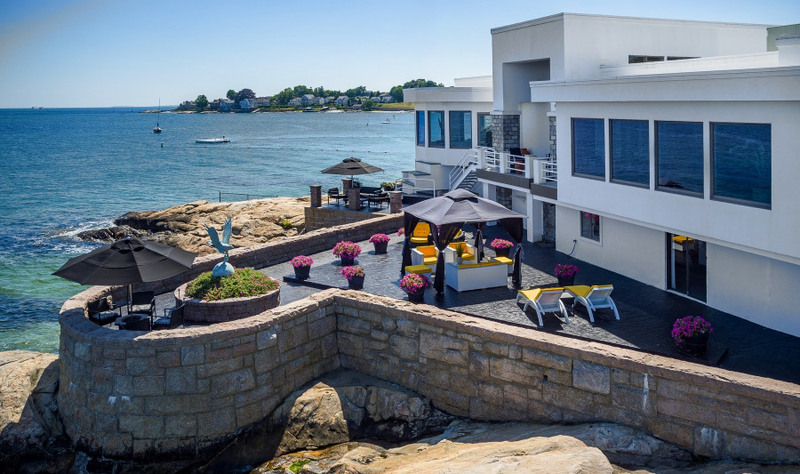 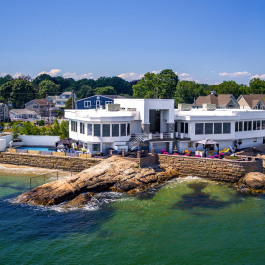 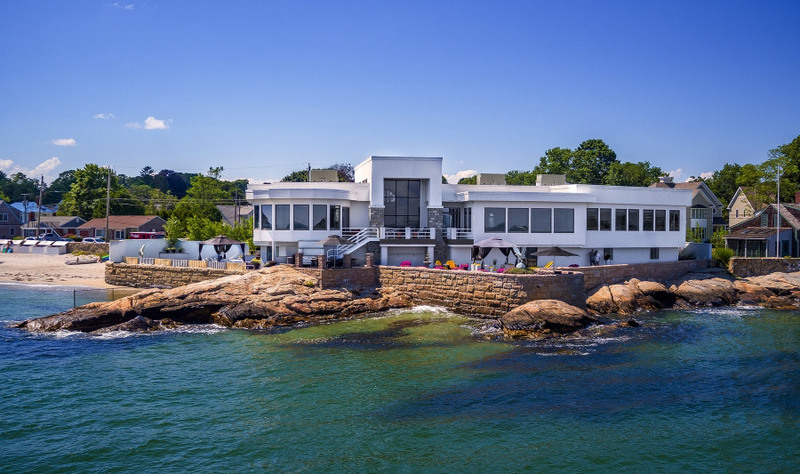 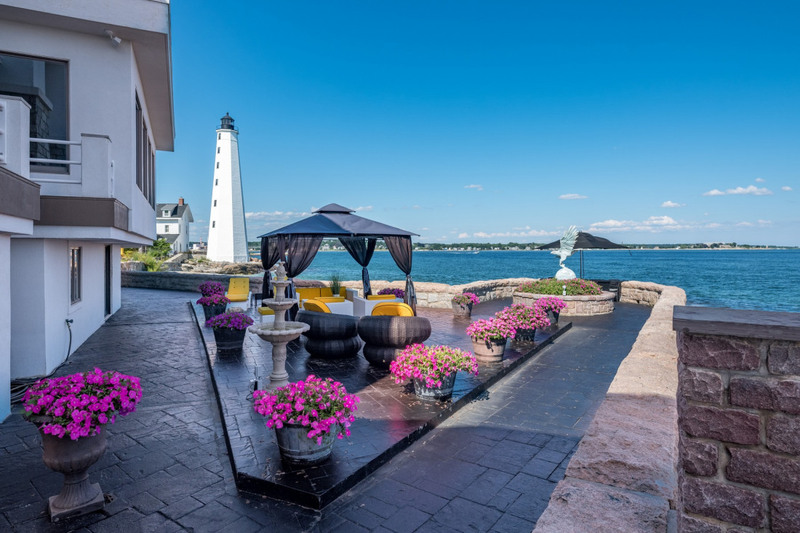 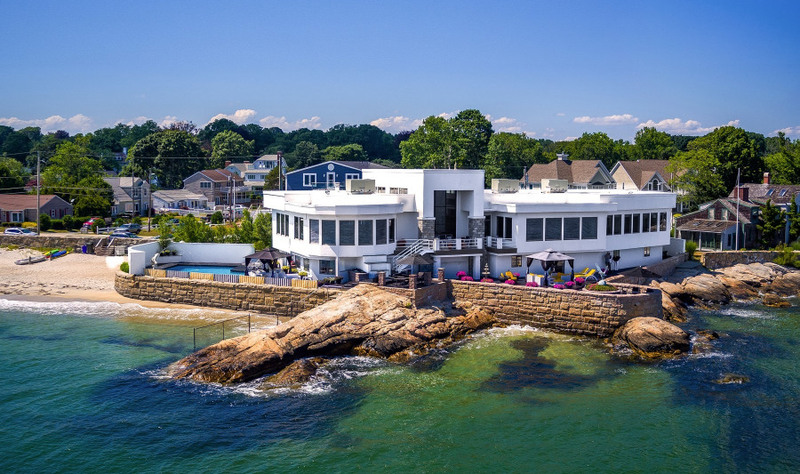 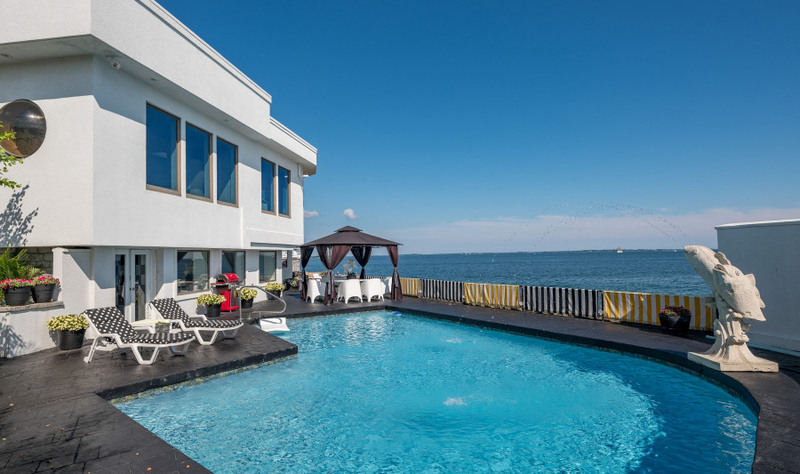 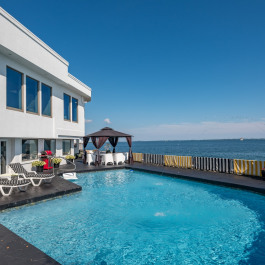 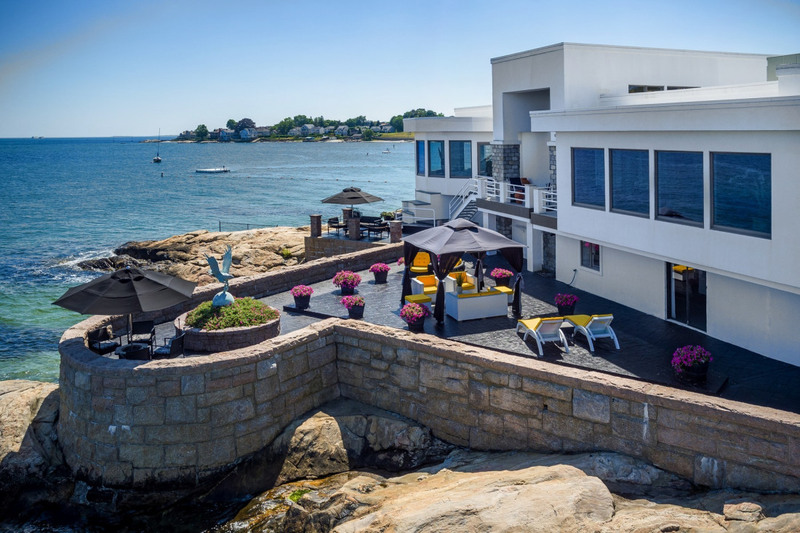 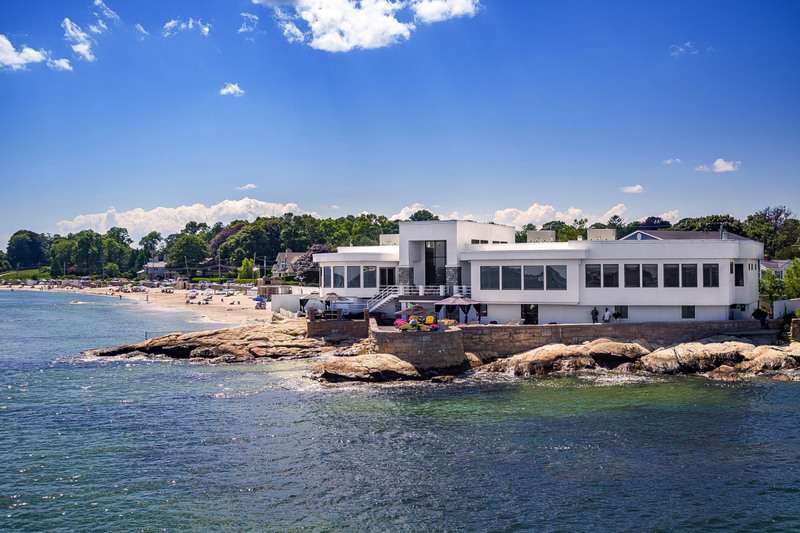 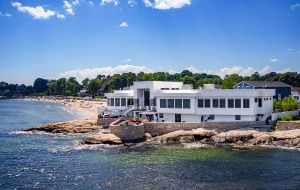 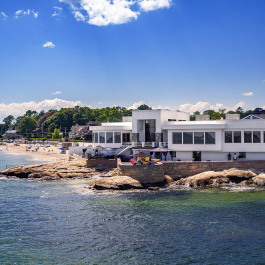 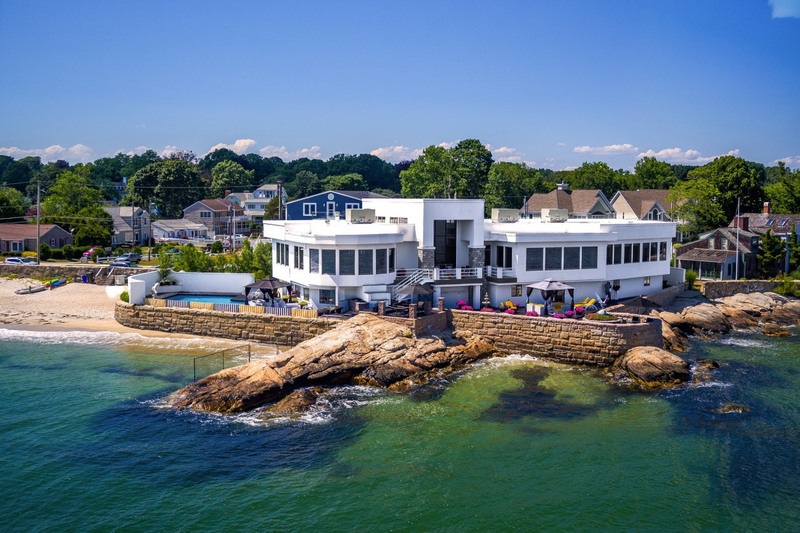 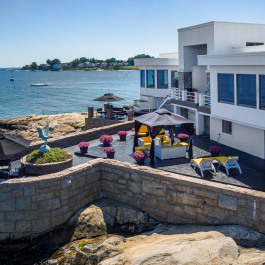 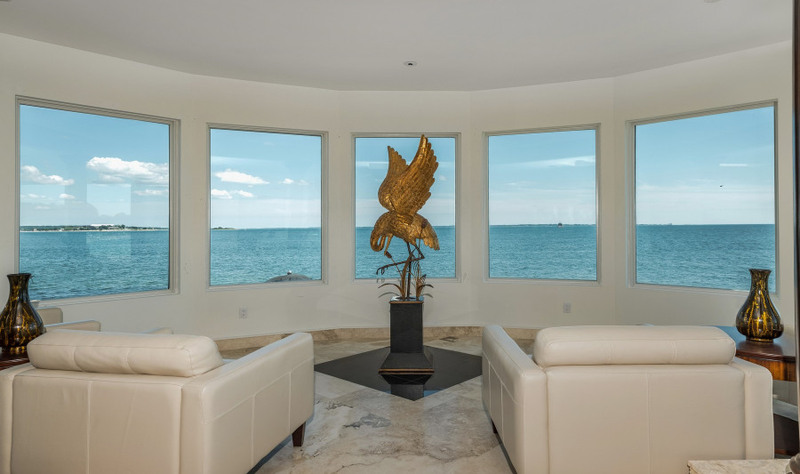 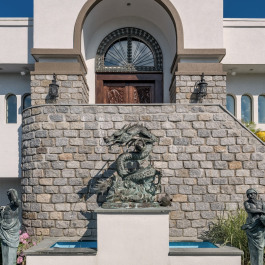 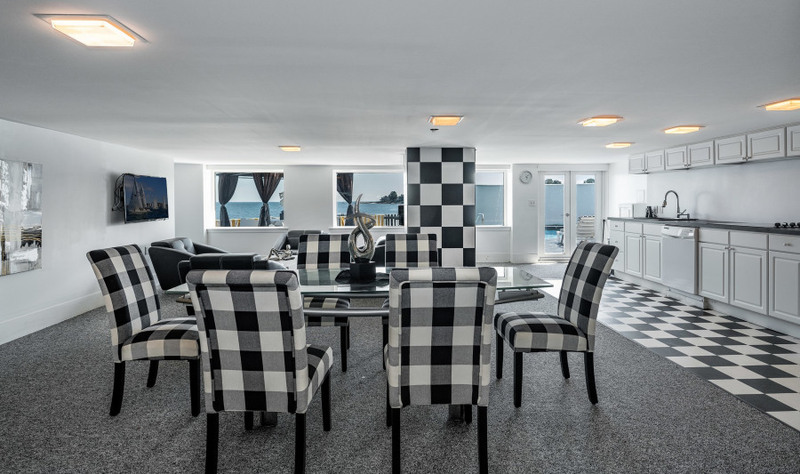 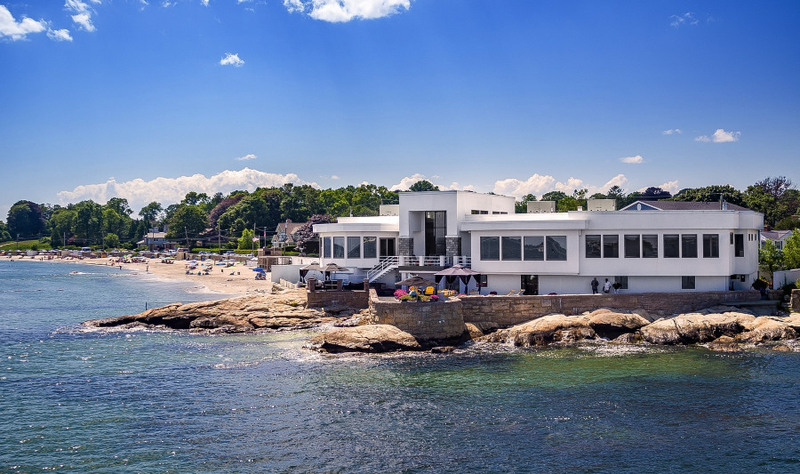 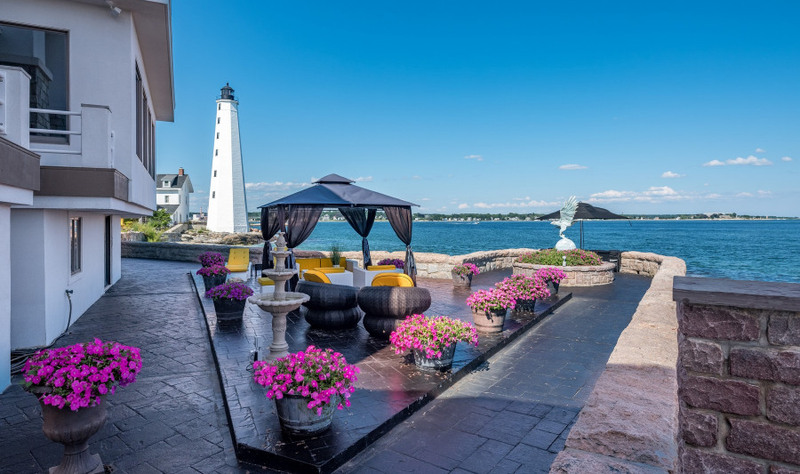 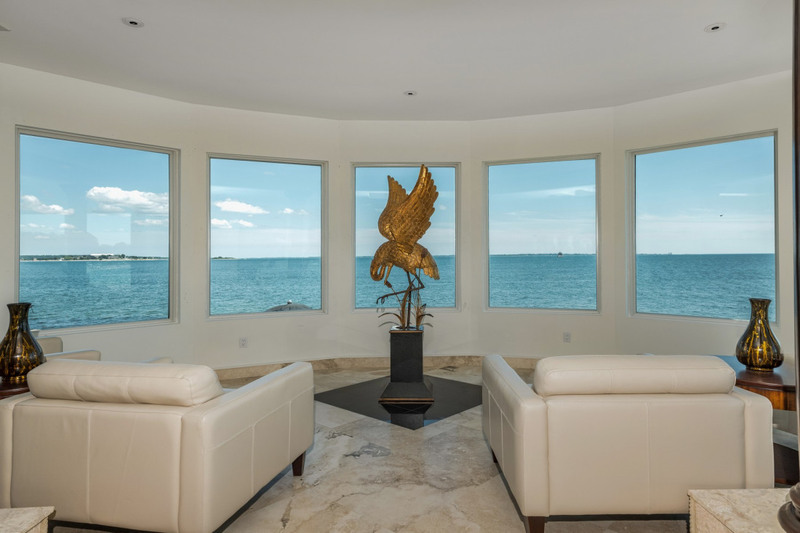 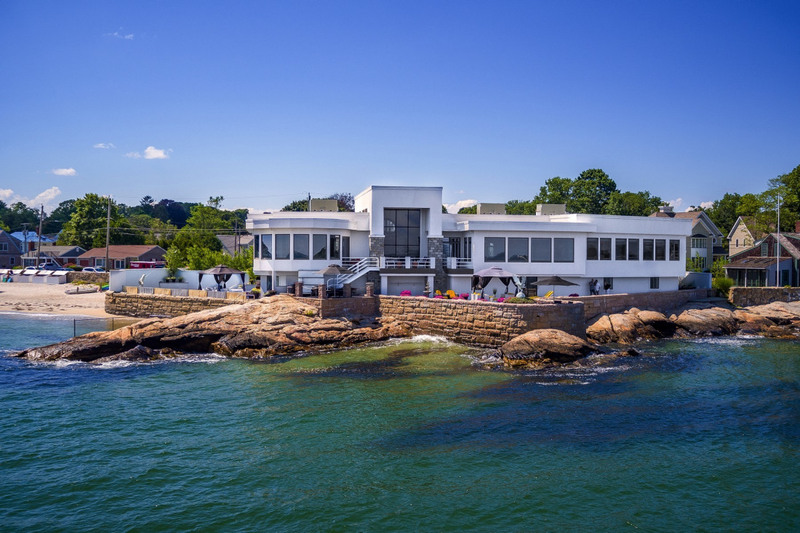 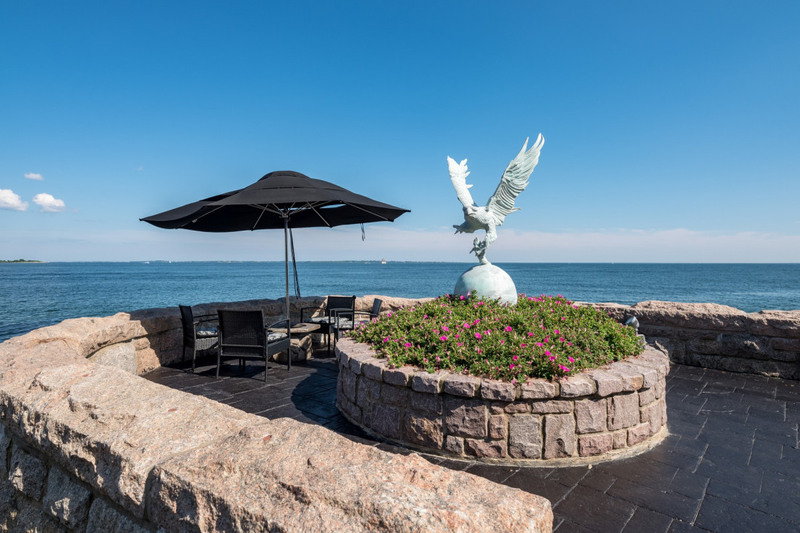 This is the first time this magnificent waterfront home is being offered for sale.